I come from a country where street food is a major blood vein and is what feeds its people. 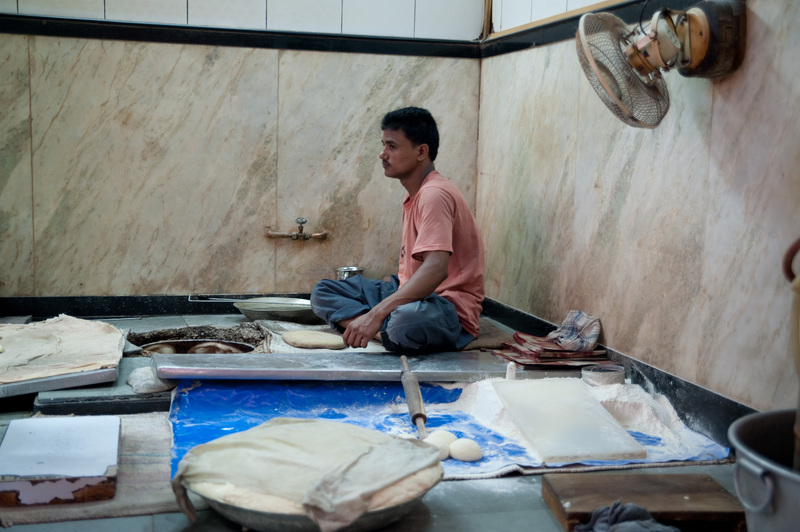 I’ve always thought that Malaysian street food is what creates a tummy made out of steel… until of course I came to Delhi. Now, don’t be put off by this Wikipedia link just yet. If you want to sample Mughlai cooking, you should check out Karim’s. 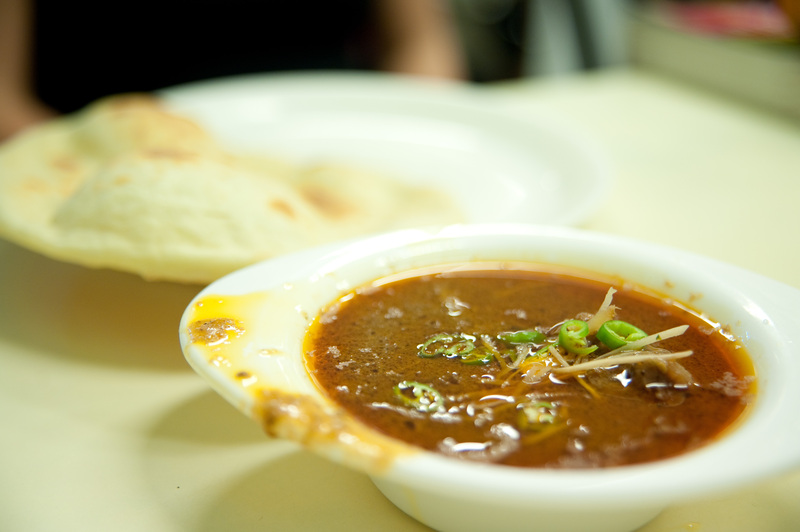 Their specialty for breakfast is only 2 kinds of mutton, one of which is the mutton nihari which is served with their khameeri rotis. Barely awake at 9am (which is when they start serving breakfast), I was a little grumpy from having to wake up so early on a Saturday morning, brave a (rip off) rickshaw ride through some really dodgy little streets and sit at a greasy table. In hindsight, I don’t regret having to do any of those at all. The gravy from the nihari + the fluffy bread was worth it.